We look for candidates who are passionate about drawing and are curious and excited about the world in which we live. You will need to be open and questioning on a whole range of subjects. You will need to have an appetite to explore and consider social, cultural, or historical issues. We look for visually literate people who can talk confidently about what they like doing, the exhibitions they have visited, the books they read and the films they watch. We interview applicants in small groups. The interviews are quite informal as we want to have a conversation so we can find out what interests, hobbies and ideas fuel your creative practice and desire to study drawing. We recognise the importance of being able to verbally and visually articulate practice. 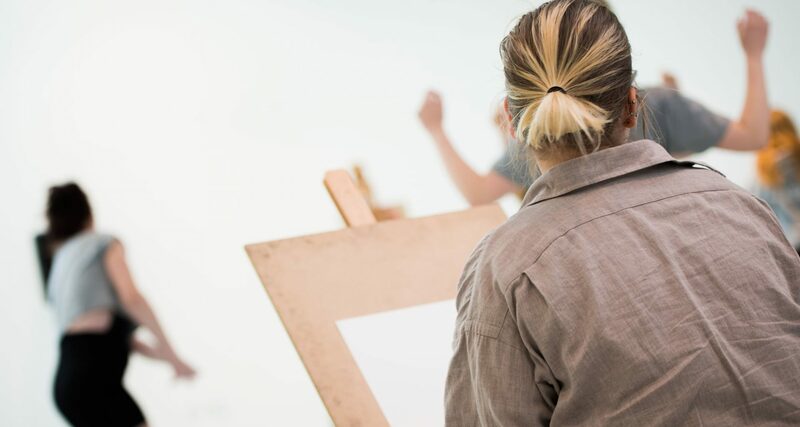 Through the presentation of your portfolio you should be able to demonstrate that you possess good drawing skills and that you are highly motivated, enthusiastic, thoughtful and committed to a career within contemporary creative practice. We look for people with creativity and originality evidenced by a variety of project work. Include a selection of current projects produced whilst on your current course and any self-initiated work, which you have prepared and want to show. Bring examples of drawing, developmental work and resolved outcomes. We are particularly interested to see sketchbooks and how research informs and nourishes your practice. Try to think about drawing in the broadest possible way. Arts practitioners employ a wide range of strategies, media and processes to realise their visual thinking and develop their working process. It is good to show your ability to be experimental and that you are open to taking creative risks. A-level candidates are very often recommended to possess a Foundation Diploma in addition to their A-level grades. This is because this course requires a high degree of skill, technical knowledge and conceptual understanding that cannot always be demonstrated through A-level study. You can download our portfolio guidelines for BA (Hons) Drawing for further guidance here.